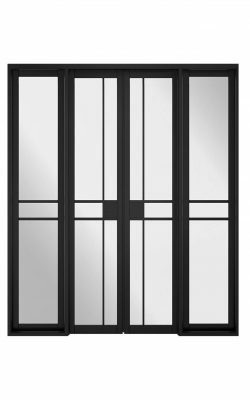 Available in various widths as room-divider sets. LPD Black Greenwich . 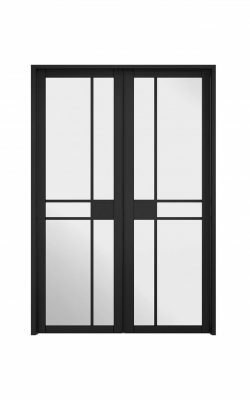 A clear glazed door with an art deco era style. 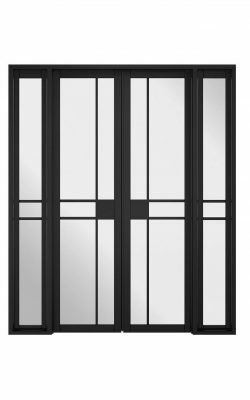 Available singly or as various room divider options. Inspired by art-deco it has geometric shapes and unique beading. Also ideal for maximising light between rooms. 5 Lights With Clear Glass.